As part of my summer professional development, I am joining Matt Renwick of Reading by Example along with many others in a month-long book club study of his Digital Student Portfolios ebook. (Read his overview intro post here.) We will be sharing and discussing the book as part of a Google+ Community. I hope you'll join us! Chapter 1 details the "Purposes for Portfolios." I liked the concept of the portfolio as the answer to those who would choose to rely on a standardized test score to "judge" a student. Portfolios can bridge the gap towards celebrating student achievement in many areas and across a wide span of time. Without an audience, the meaning of their work in school is diminished. I am sure there are many bloggers out there who would loudly disagree or claim that they create their content solely for their own learning or edification, but how many of those same people thrill at the sight of each new comment or social media ping? We all love an audience. The five steps for implementation were a helpful way of thinking about how to start any technology process, and I appreciated the emphasis on how change actual works and the importance of training and support. As a classroom teacher looking to effect change just in my own classroom to start, it does simplify the matter of planning quite a bit. While the above constitutes my notes and thoughts about the chapter, I also wanted to include a section of personal reflection and application. I thought I would use the categories from the included PDF, Technology Benchmarks of Quality, as a guide to my reflection. I am fortunate that I have a full class set of (admittedly ancient) Mac Book computers in my classroom. They might be on their last legs this year, but I am hopeful they will still hold up for word processing, Kid Blog, and potential portfolio creation. 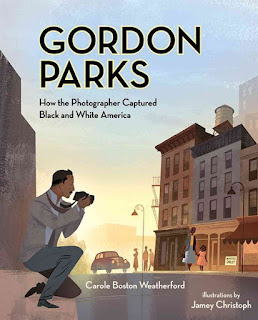 This past year I debuted Kid Blog with my third graders (read We are Bloggers for more details), as part of our connections through the Global Read Aloud. We were able to connect with a few other schools in Spain, India, Canada, and Australia. My main goal was to give my students an authentic audience (each other, other students, and their parents) and to encourage cross-cultural conversations and exchange. Overall, I would like to add more authentic opportunities for cross-cultural activities with our partner schools. Our posting was not frequent enough to build any firm foundations, and I think it will also help make it more meaningful if students were engaging in interactions in smaller groups rather than as a whole class to a whole class. In previous years, I have had students complete paper self-assessments at the end of major units and projects. These assessments asked students to reflect on the quality of their work and contributions and were sent home to parents accompanied by my feedback in the form of a rubric and written comments. Finished pieces of student writing were saved in a file folder portfolio, and these were turned into finished, published "books" at the end of the school year. Students used these portfolios to write a final writing reflection and to choose their favorite piece of writing from the year for inclusion in a school-wide literary magazine. Students also set and self-assessed quarterly reading goals. These goals were written in their reading folders each quarter but often not referred back to. 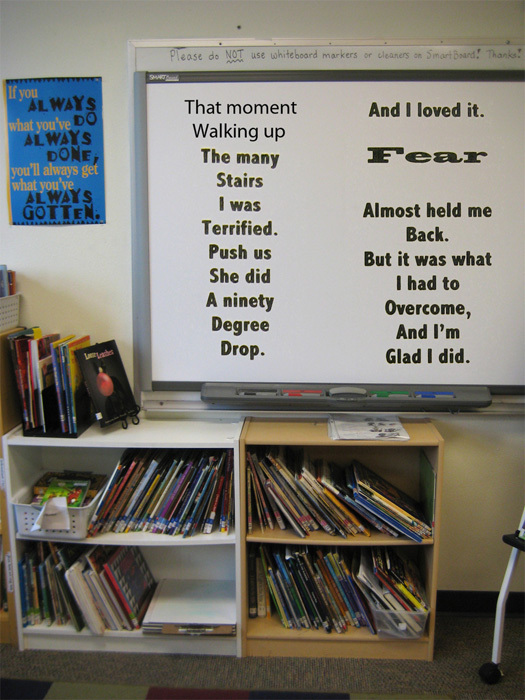 (I think seeing their goals at the end of the quarter often came as a surprise to many students who had forgotten them by then!) 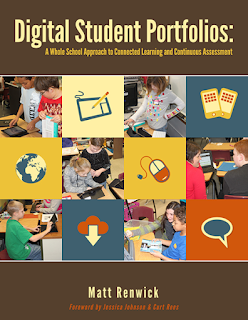 I am really anxious to learn, as we get into the application sections of the book, how digital portfolios can help with student goal-setting, self-reflection, and self-assessment. 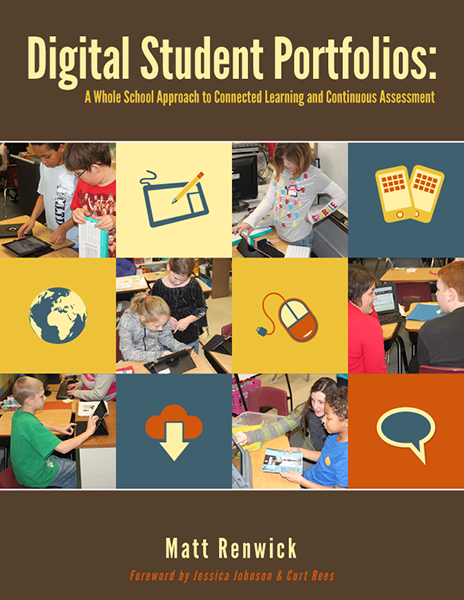 What have you learned about digital student portfolios? What do you still wonder? To begin the book club discussions, Matt asked us to answer the following question: "How has technology impacted your instruction and student learning?" We were given the choice to answer in either a written, visual, or oral way, so here is my visual response plus six word story. Six Word Story: Technology is a challenge worth overcoming. The SmartBoard is the most commonly-used piece of technology in my third grade classroom, but for the past two years we have had an in-class set of hand-me-down Mac book computers as well. The computers are used during the drafting, editing, and publishing stages of writing time and are available as a choice during Poetry Friday time. I love seeing how kids take technology and make it their own. I am looking forward to expanding my technology repertoire and seeing how digital portfolios can add to and enhance what is already happening in my classroom. Carol has the Poetry Friday Roundup at Carol's Corner. 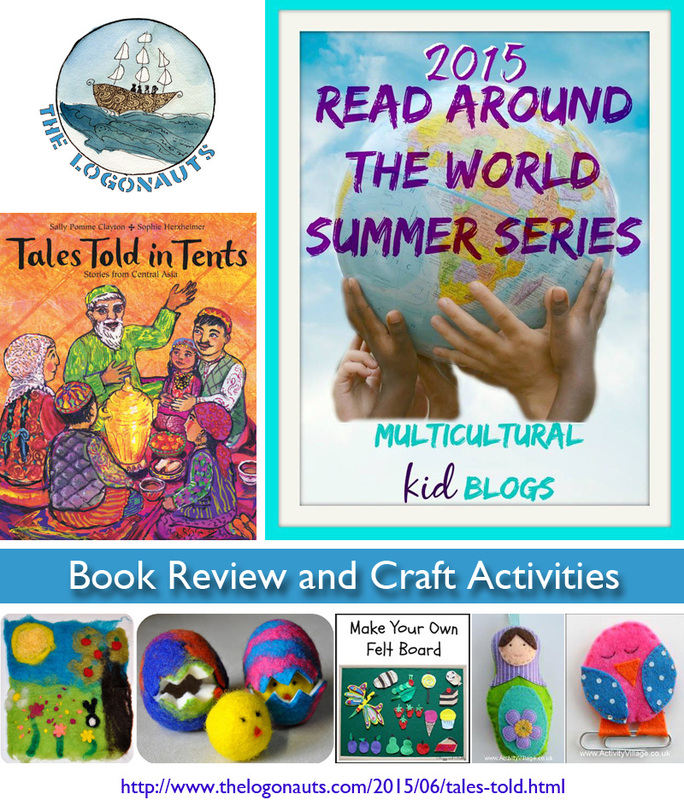 I am very excited today to be featured as part of the Multicultural Kid Blogs' Read Around the World Summer Reading Series! You can see the whole calendar of upcoming posts and blogs here. Mondays are for ages 5 and under, Wednesdays for children ages 6-11, and Fridays for ages 12-young adults. Great choices for all ages! 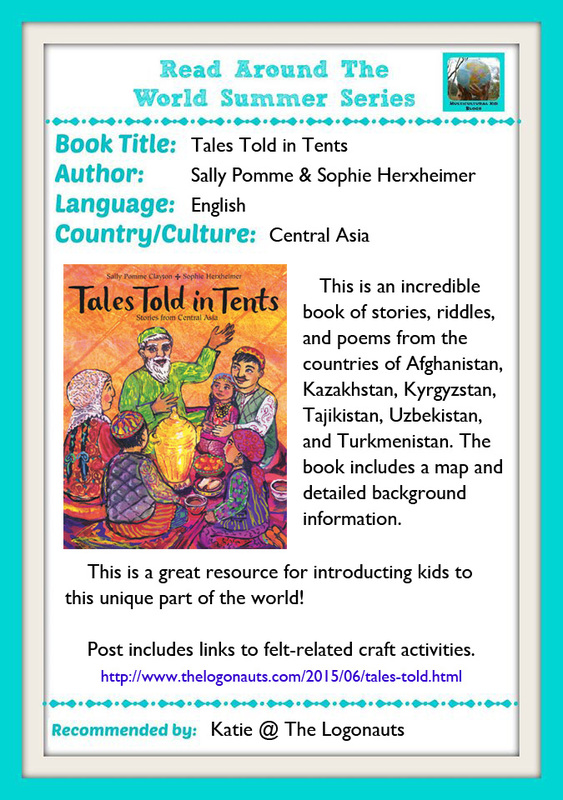 I am sharing one of my favorite read aloud picture books, Tales Told in Tents: stories from Central Asia (2004) retold by Sally Pomme Clayton and illustrated by Sophie Herxheimer. 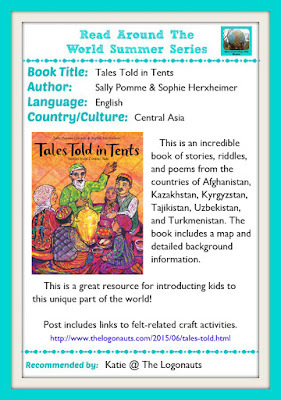 This book gathers a wealth of stories, poems, and riddles from Central Asia, which includes Afghanistan, Kazakhstan, Kyrgyzstan, Tajikistan, Turkmenistan, and Uzbekistan. One reason I love this book is because it features an area of the world that is often unfamiliar to western readers. Many people in the US know of Afghanistan, of course, because of our long history of involvement there, but many would be hard-pressed to spell, much less find on a map, the rest of the countries of Central Asia! Another reason I love this book is the detailed background information that the author includes. 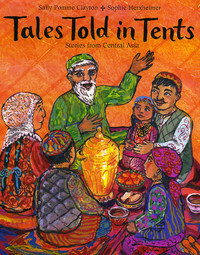 The book opens with an introduction about the importance of storytelling as well as the author's personal experiences listening to and sharing stories in Central Asia. The back of the book includes attributions and bibliographic details about the stories too, as well as a map and a glossary. These features really help the reader to better connect to these incredible people and cultures. The Bag of Trickness. This story from Kazakhstan stars the beloved Central Asia trickster Aldar-Kose. Kids will be in stitches listening with disbelief as Aldar-Kose tricks a rich man again and again and again! Riddle Bazaar. This collection of riddles from Uzbekistan includes some stumpers, but clever readers will also scour the illustrations for clues. The Secret of Felt. This origin story of the invention of felt involves two brothers, their sheep, and an unfortunate incident with a stubbed toe! 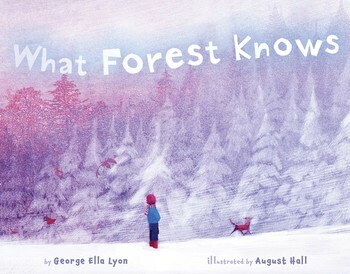 Kids are fascinated by the way that wool becomes felt, and this is a great story to read in conjunction with a felt or felting craft project. Making felt is a fun and engaging project for kids too! 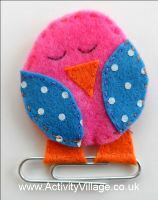 There are two methods for making your own felt, needle-felting and wet felting. 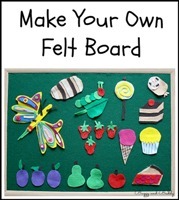 (Here is a great post, Beginning Needle Felting with Kids, using foam board and cookie cutters to keep hands safe.) Needle-felting is best with older children, as it involved a sharp needle, but kids of all ages can help out with wet felting. I am definitely going to talk to our art teacher next year about doing one of both of these adorable projects below! 3rd Grader Book Recommendation: True Blue Scouts of Sugar Man Swamp. This student-written review shares her love of The True Blue Scouts and the amazing language of Kathi Appelt. 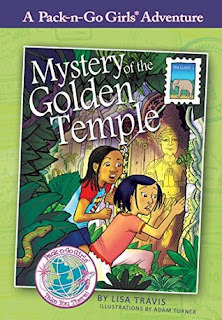 Review of Mysteries of the Golden Temple. 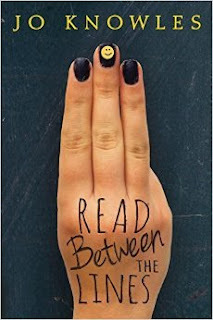 I was really impressed with this girl-focused series featuring diverse characters traveling to other countries. This one is set in Thailand. 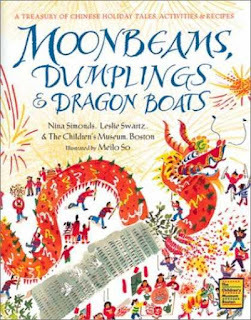 Review of Bubbles: Big Stink in Frog Pond. 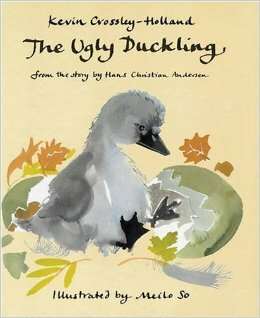 Yep, it's a book about a farting frog. That's about the extent of my review of it too. 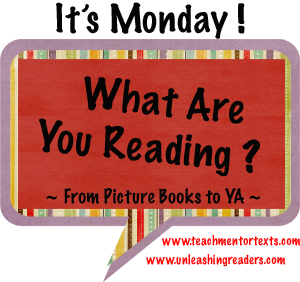 Kid Lit Blog Hop and Facebook Linky. 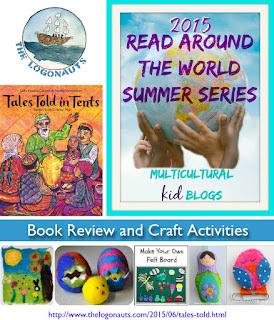 There's still time to add your posts and Facebook page to the current Kid Lit Blog Hop! Isla (1995) by Arthur Dorros and illustrated by Elisa Kleven. 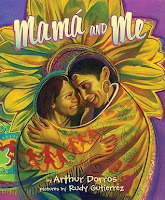 This sequel to Abuela (reviewed as part of my series on modern immigration stories) follows the young girl and her grandmother on another imagined trip, this time to see the Isla where her Abuela lived and to visit with her aunt, uncle, and cousin who still live there. 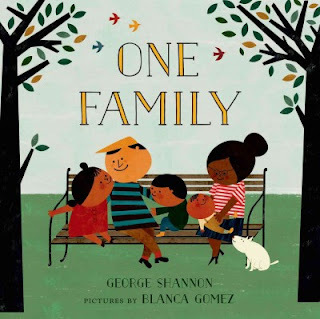 This is a great story celebrating US-Caribbean connections, as well as the power of family. 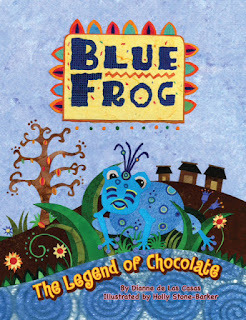 Blue Frog: the Legend of Chocolate (2011) by Dianne de Las Casas and illustrated by Holly Stone-Barker. This story comes from an Aztec legend about the origins of chocolate (although no bibliographic information is given). 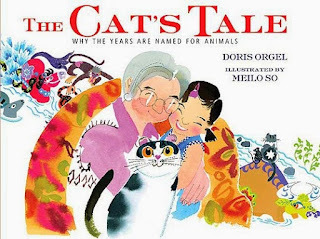 Overall, I thought this was a cute story to share with kids - and one to get them pondering the mystery of a world without chocolate! The only thing that threw me was the middle of the book, when the story exactly repeats itself for two, two-page spreads. (The kids hear the song, they go to the village to get their mothers, the kids and mothers hear the song, they all go back to the village, the kids and mothers hear the song again.) Odd. 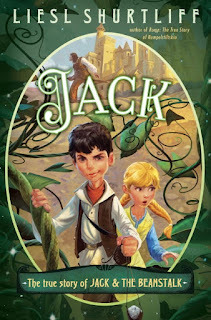 Jack: the true story of Jack and the beanstalk (2015) by Liesl Shurtliff. Following the success of her first fractured-fairy-tale novel, Rump, Liesl Shurtliff is back with her version of the story of Jack and that beanstalk. 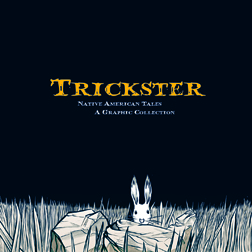 You do not need to have read Rump to understand Jack, but you will miss out on some of the ways their stories interact. This is another clever and entertaining read. Though it took me a little while longer to get into the story this time, it was overall enjoyable. The True Blue Scouts of Sugar Man Swamp is a really funny book.The author of it is Kathi Appelt. The True Blue Scouts of Sugar Man Swamp is a story of two silly raccoons who are trying to save Sugar Man Swamp from a pack of hogs, and also about a boy named Chap, and a very strange lady who is trying to cut down Sugar Man Swamp to build a gator wrestling arena and theme park. I would recommend this book to people who like adventure and comedy. Here is my favorite quote from the book. "Since raccoons aren't that great at counting, we'll just say they had their collective paws on more than four fried pies but fewer than a dozen. And let us also say that carrying those fried pies under neath their noses was sort of a delicous tourture. Bingo looked at the pies scttered across the front seat.. "I think we took more than we needed." he said. J'miah nodded. Then he said exactly what Bingo was thinking. "Since we have so many, I think we could taste at least one of these, don't you?" Since they were both in agreement, they each picked up a Paradise Pie and-sit down, brothers and sisters-they did not think they had ever tasted so rapturous in their entire lives." This is part of my favorite part. Just fast forward a little and........"The pies that him and J'miah had gobbled up. Those pies. They were gone. Almost. There, by it's little lonesome, was the last fried pie. One. Fried. Pie. All. Alone. On. The. Front. Seat." I like this part because it is funny. I would give this book * * * * * stars. Student-Led Book Recommendations. During the school year, my kids wrote their own book recommendations for each other. This post shares my template and mentor recommendation. During the summer I'll be posting highlights from the kids' own recommendations. 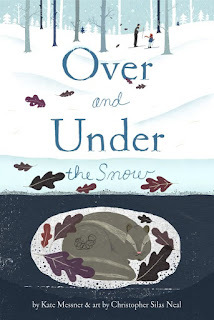 Over and Under the Snow (2011) and Up in the Garden and Down in the Dirt (2015) by Kate Messner and illustrated by Christopher Silas Neal. Ever hear about a concept for a book and immediately wish that you had thought of it? I absolutely love the idea and structure behind these two books, but I must admit that I ended up wanting more. Over and Under the Snow reminded me too much of Owl Moon and made me miss the amazing and detailed illustrations of John Schoenherr. 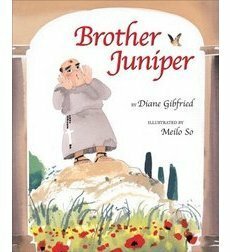 Something about the two-dimensionality of Christopher Silas Neal's illustrations just didn't work with what my brain wanted for this book. 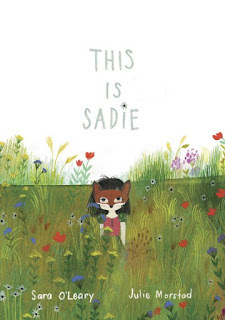 Overall, I think that these are lovely books and will answer/raise a lot of questions for readers about the secret lives of animals, but I felt like they were not quite up to their potential. 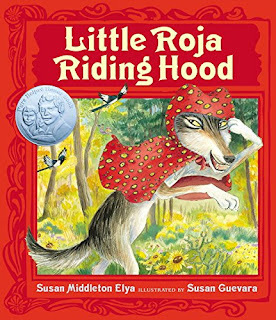 Little Roja Riding Hood (2014) by Susan Middleton Elya and illustrated by Susan Guevara. 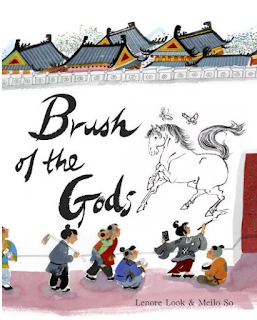 (Winner of the 2015 Pura Belpré Honor Award for Illustration.) This update of Little Red Riding Hood features a bilingual Roja and liberally sprinkles Spanish into the rhyming text. This is a fun, empowering update with Roja in the lead, rescuing her Abuela. 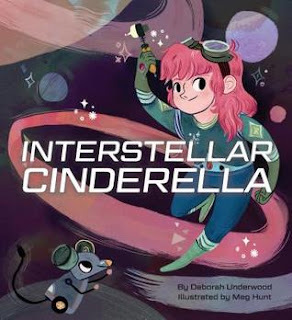 Interstellar Cinderella (2015) by Deborah Underwood and illustrated by Meg Hunt. I will be adding this one to my collection of fractured Cinderella stories. In this futuristic take, Cinderella dreams of repairing spaceships, along with the assistance of her robotic mouse companion. While I liked the ideas behind this story (including an ethnic-looking Prince and eschewing the marriage offer), I could not get past the rhyme. With Little Roja, I felt like the rhyme worked, but here I found it distracted from the story. 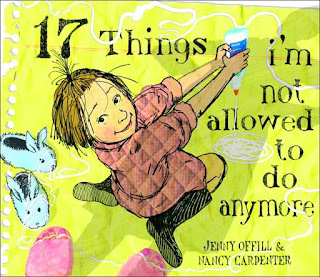 17 Things I'm Not Allowed to Do Anymore (2007) by Jenny Offill and illustrated by Nancy Carpenter. Another quirky story from Jenny Offill. 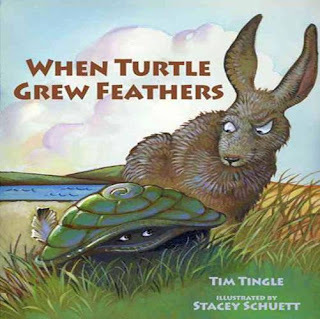 In this one, the narrator walks us through many different things she is not allowed to do anymore, from walking backwards to school, to adding beavers to a report on George Washington, and more. 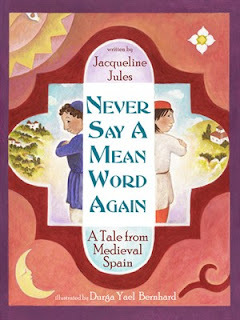 Never Say a Mean Word Again: a tale from Medieval Spain (2014) by Jacqueline Jules and illustrated by Durga yael Bernhard. This story is inspired by a medieval tale about a Jewish poet who was the vizier in Grenada, a Muslim city of the time, in Spain. 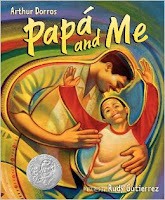 Here, the story is reimagined between two boys, the Jewish son of the grand vizier and the Muslim tax collector's son, who must learn how get along. 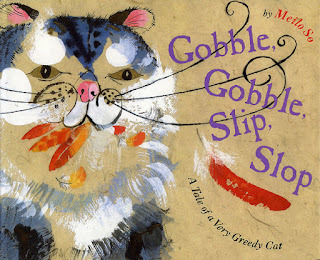 This story reminds me a lot of Enemy Pie, which is a favorite read aloud of mine for the beginning of the year and dealing with friendship issues. Ranger in Time: Rescue on the Oregon Trail (2015) by Kate Messner. 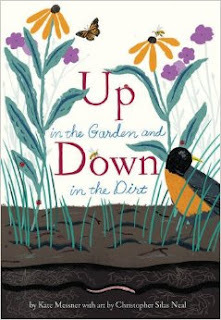 I am really looking forward to this summer's edition of Teachers Write, hosted by Kate Messner. Kate mentioned in her launching post that she will sharing insights, details, and previous drafts from her two Ranger in Time books, so I went ahead and jumped in to the first one. 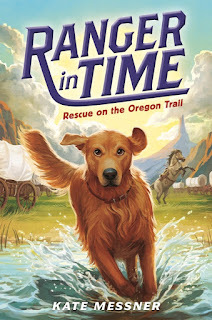 Rescue on the Oregon Trail has a wonderful conceit for a historical fantasy book: main character and golden retriever, Ranger, is transported back in time after unearthing a first aid kit in the backyard. I love the perspective of Ranger's point-of-view, especially as he tries to puzzle out what has happened to him and why he doesn't find himself back at home after he has done a "Good job!" 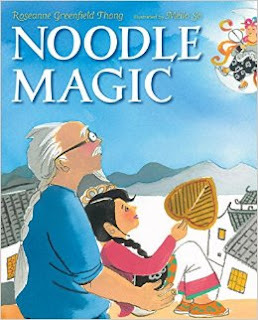 This series will be very appealing to kids, especially those looking for a bit more challenge than The Magic Tree House books or a more animal-centered telling than the I Survived series. 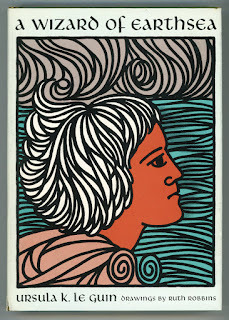 A Wizard of Earthsea (1968) by Ursula K. Le Guin. 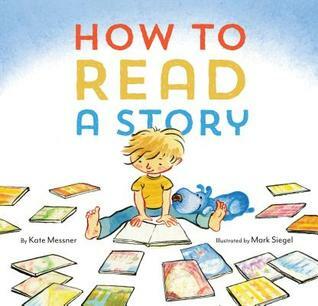 (H/T to Mr. Schu for linking to Kate DiCamillo's Suggestions for Summer Reading over at TFK.) I have always loved fantasy, including both high fantasy and science fiction, but I never had good reading mentors or recommenders as a kid, so I only read what I stumbled upon. 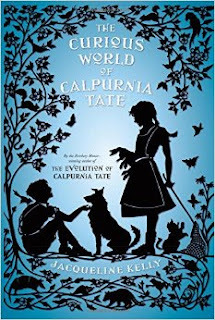 This has left me with many gaping holes, so I was glad to fill in one after seeing Katie DiCamillo's recommendation of where to start with Ursula K. Le Guin. 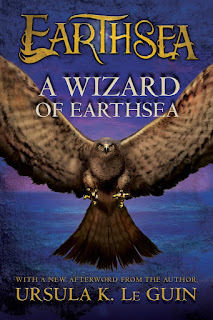 A Wizard of Earthsea reminded me greatly of its contemporary, The Chronicles of Prydain by Lloyd Alexander, and of its 1980s predecessor, The Belgariad by David Eddings, All three of these series exemplify an economy of words accompanied by strong visual imagery that often seems missing in more recent fantasy series. 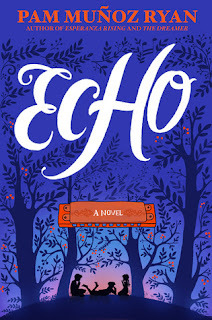 While I enjoyed the recently-published Ascendance Trilogy by Jennifer Nielsen or The Thief by Megan Whalen Turner, they seem to focus more time on endless dialogue and teenage antics than these "classic" series. I am curious as to whether you agree or disagree?